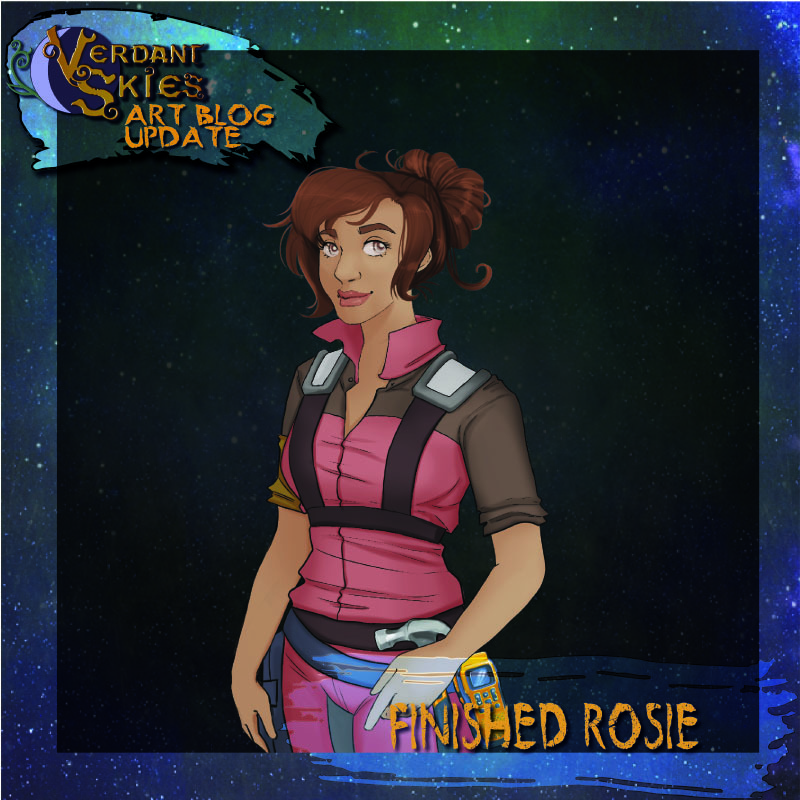 Character portraits in Verdant Skies have changed a lot through the development process. Each character begins with a biography, which plays a major role in every decision on the character’s design- clothing, attitude, pose, and more. Once the basics have been nailed down in the sketch, Lizzy begins to refine the details of the character and render the character in more detail. 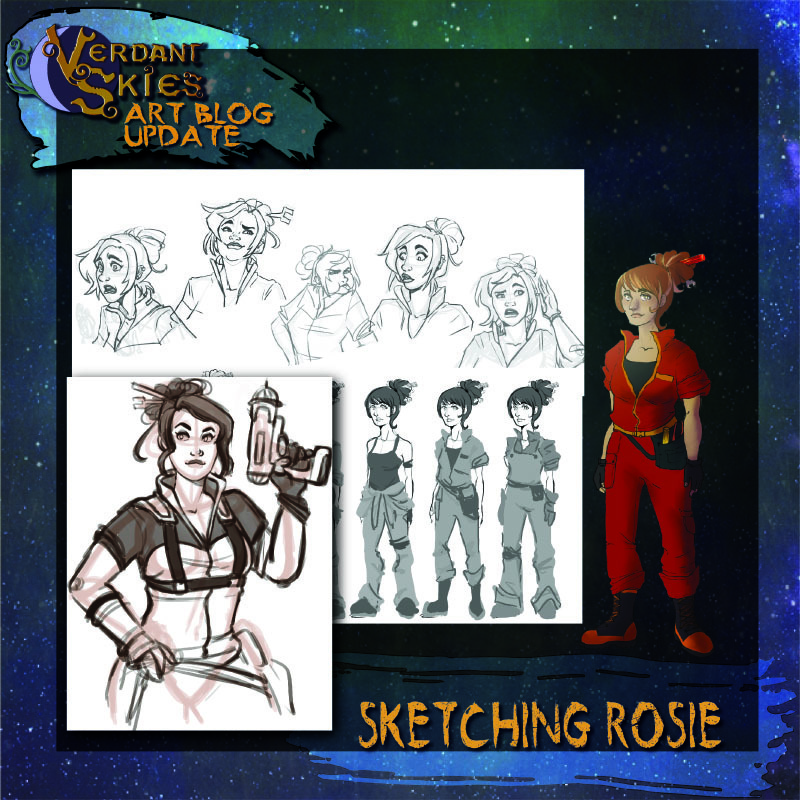 At this point, the design of Rosie is pretty nailed down. We’ve continued to change the art style for the in-game portraits.. so Lizzy creates the final portrait. 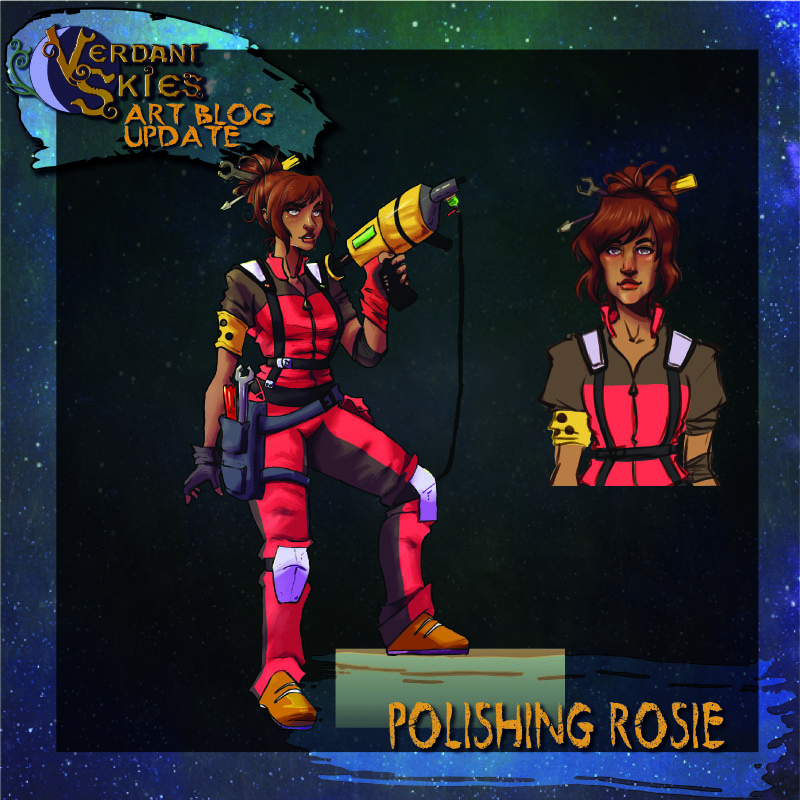 Once this final version of Rosie is finished, new versions are made to show Rosie laughing, embarrassed, concerned, and whatever other expressions are required for the narrative. We participated in a usability study by a local user experience expert. She played an alpha version of Verdant Skies for about two hours and wrote up a heuristic analysis. We’re working on fixing some of the usability issues she found. Check out her report!